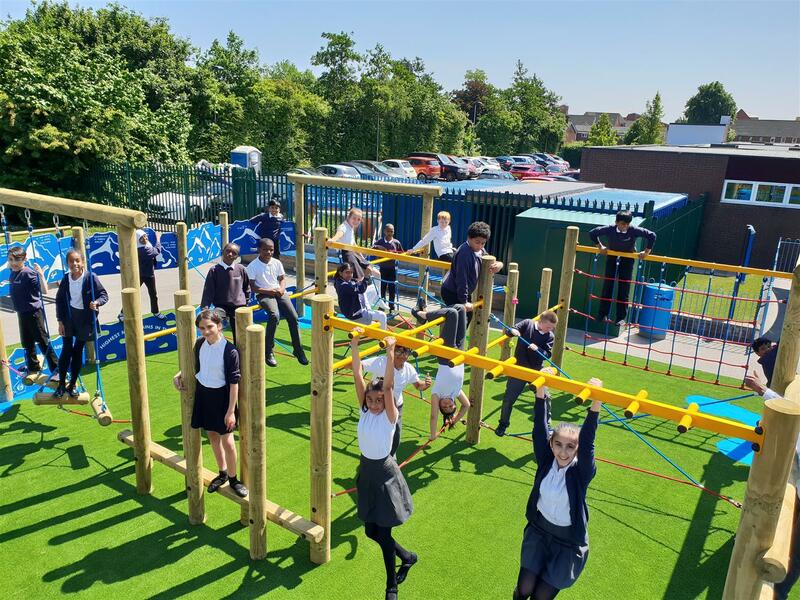 Our Sales Director, Paul Bayliss, worked with staff at the St Matthew's Primary School on the procurement of two of our most adventurous pieces of active play equipment: the Apollo Challenger Climbing Frame and the Crinkle Crags Log Climber. 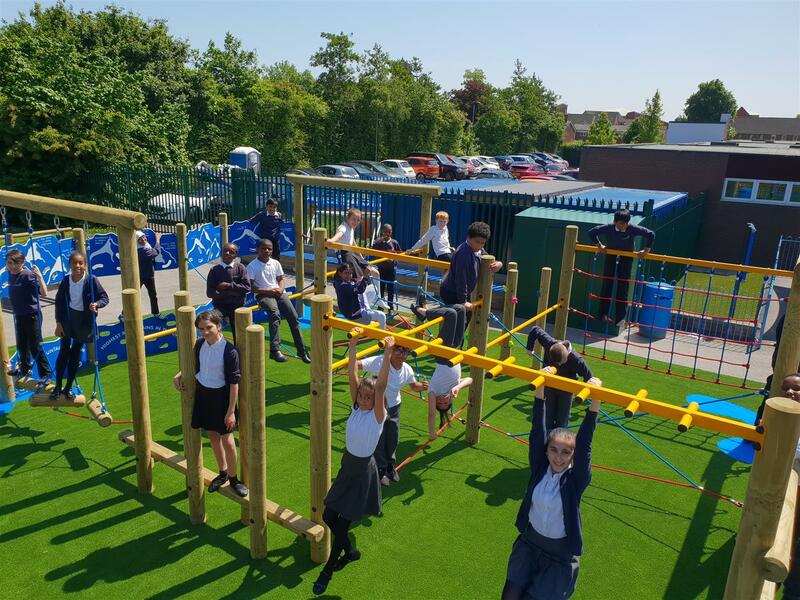 The outcome is a gargantuan active playground environment for the KS2 pupils, providing a central focal point for playtime and PE lessons... they absolutely love it! Feedback from staff and children alike has been really positive. 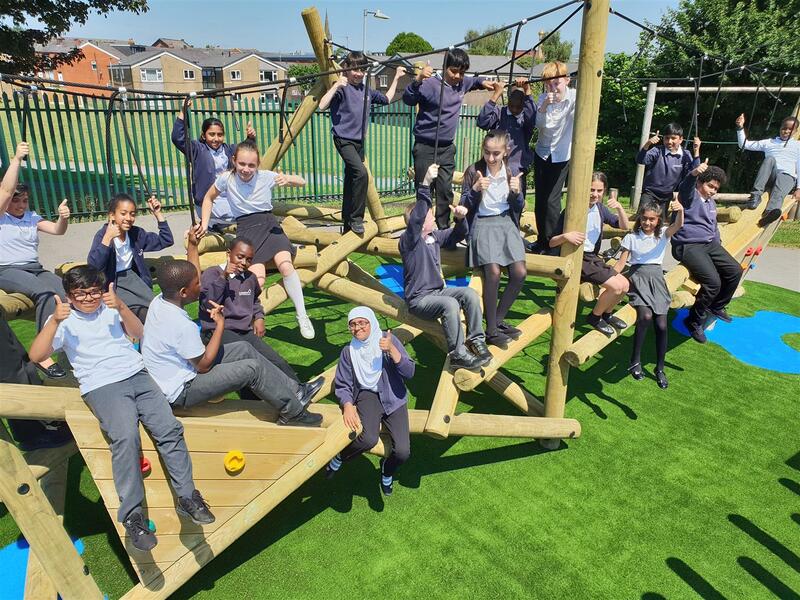 The scale of the equipment means that it’s large enough to accommodate a whole year group at any one time, so the school have set up a weekly rota for Years 3 to 6 to use it each day. On Fridays, it’s reserved for the classes that have played the best during the week, and as an incentive reward for those who deserve the Headteacher’s award! 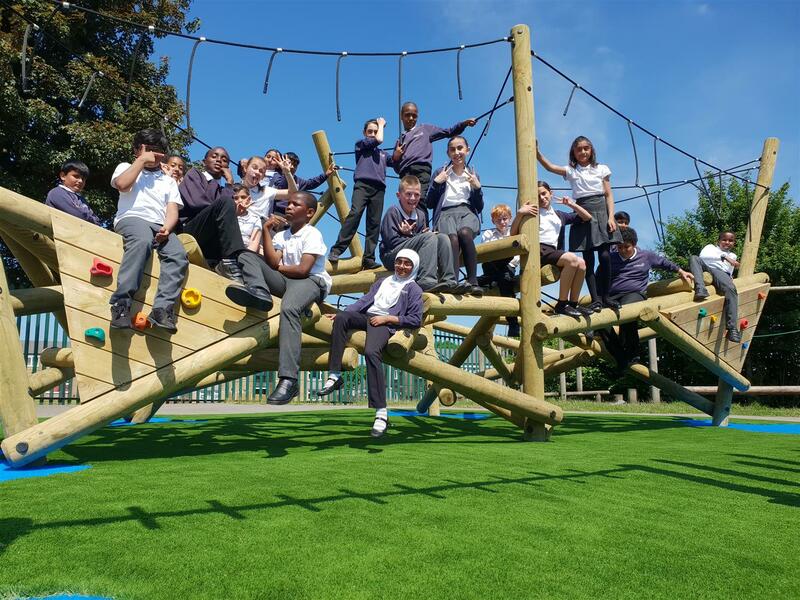 We installed the new area on our Playturf Deluxe Artificial Grass. It looks and feels just like real grass in a beautiful green, but it doesn’t get muddy or become waterlogged! 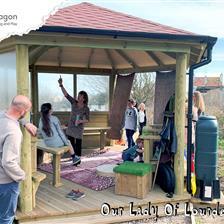 This is essential as it means the area can be used year round and the school can really gain value from it. 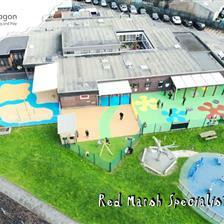 Splashes of sky blue Saferturf throughout the area adds an element of imaginative fun. Working their way around the course requires children to use a number of different techniques to move their bodies, to improve their balance, core stability and develop both upper and lower body strength and gross motor skills. The grab and grasp actions required develop hand strength and ultimately improve fine motor skills. It requires logic too, as children have to plot their course and assess risk. 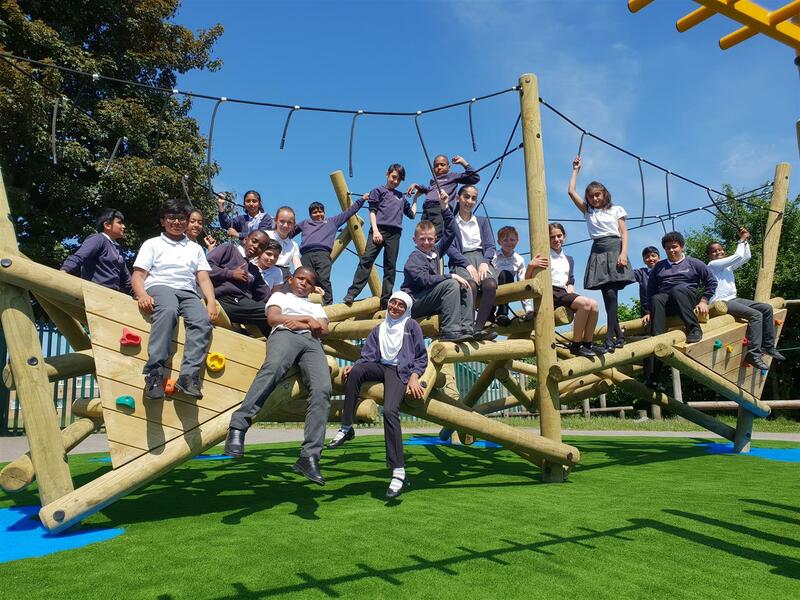 You can take a closer look at our Apollo Challenger Climbing Frame here. 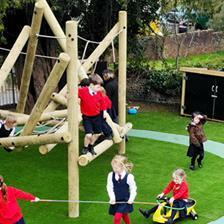 The Crinkle Crags Log Climbing Frame is our biggest and most challenging climbing frame yet! It’s made from a series of high pressure treated play grade timber logs and poles, interspersed with steel reinforced nylon ropes, in a seemingly random but cleverly balanced design. There are literally dozens of crossing points for the children of St Matthew's to choose from as they plot their way around the challenge. No two pathways are the same! You can take a closer look at our amazing Crinkle Crags Climber here. 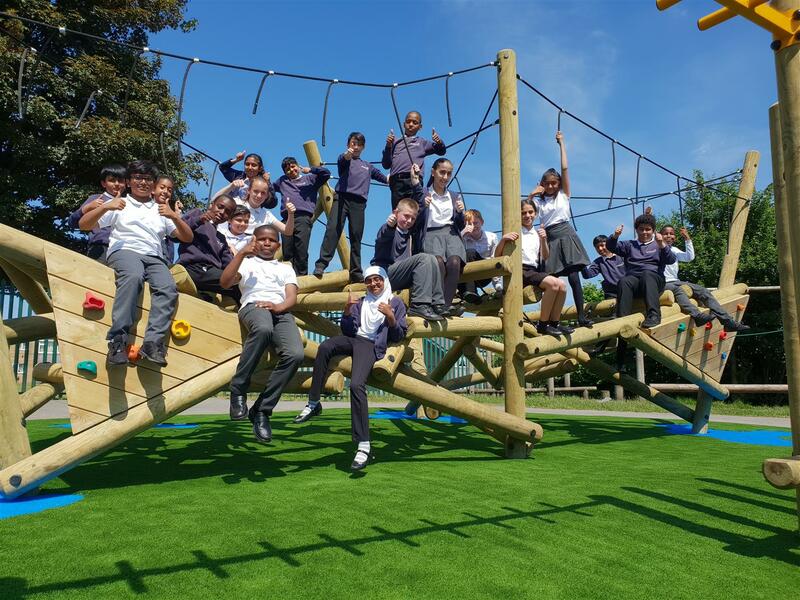 The two climbing frames together present a plethora of climbing challenges. The attention to detail, with mountain scenery, bold colours, different levels and heights, and a mixture of stationary and kinetic pieces make for some truly inspiring, engaging and imaginative playtimes. 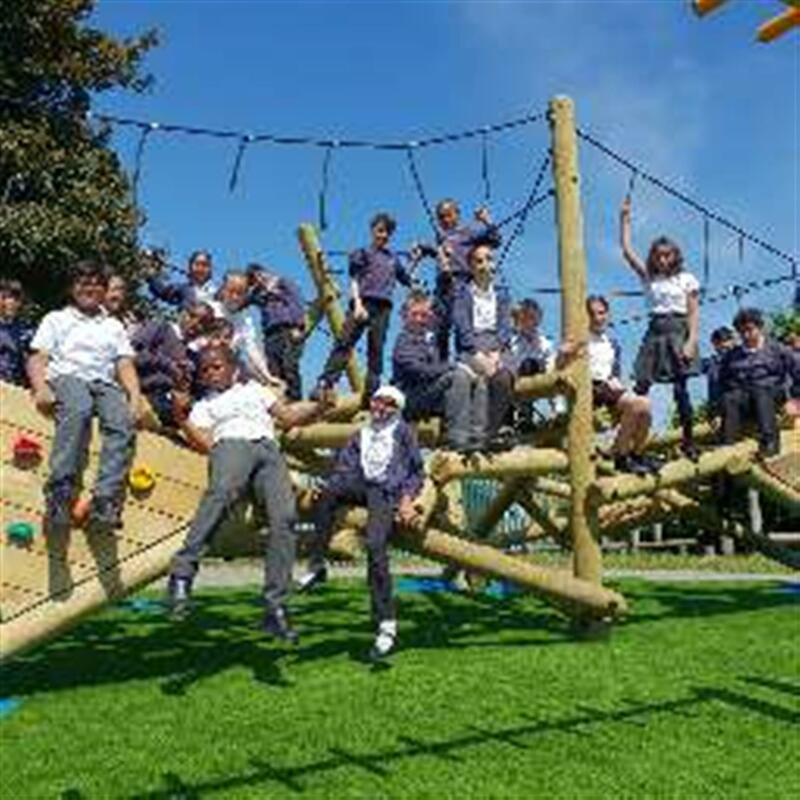 The entire set up is open-ended, allowing the pupils to enter and exit the structures wherever they like and climb as high or as far as they feel comfortable. It’s a group challenge and the children at St Matthew's have been having a fantastic time playing and exercising together. 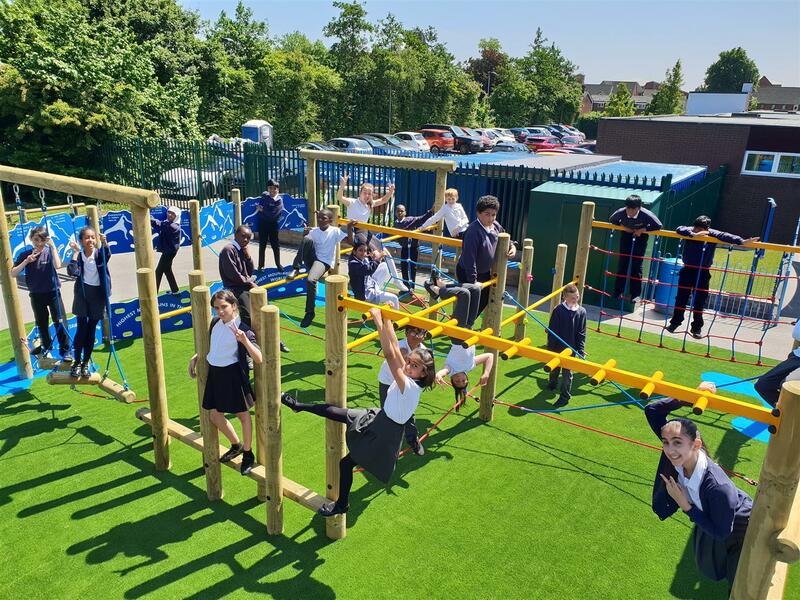 Innovative outdoor activity areas such as this encourage cooperation and really help children to build friendships and gain self-confidence on top of the numerous physical benefits they obviously enjoy. It’s such a positive environment that boosts their mood and this is reflected when they are back in the classroom and ready for more learning. 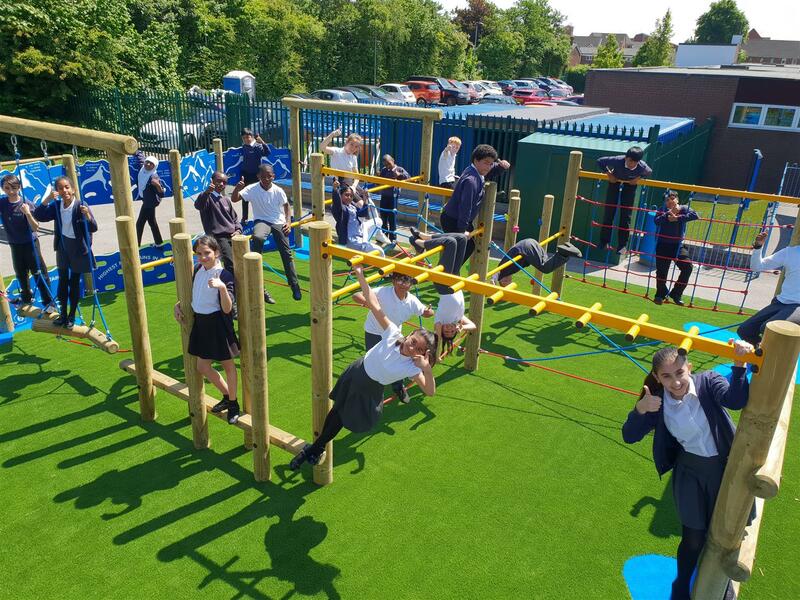 Now that Sports Climbing has been recognised as an Olympic sport, it is great to see more and more schools like St Matthew’s recognising what a great all-round physically and mentally challenging activity it is, and encouraging their pupils to get active through climbing. 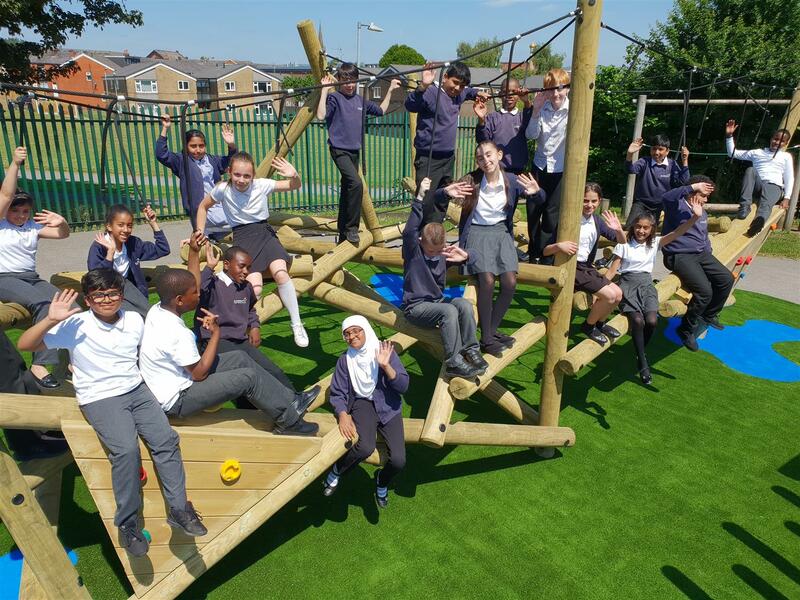 It was fantastic to see the children using their new outdoor area and there was a lot of laughter and happy smiling faces. Climbing facilities are a great alternative way for schools to spend their PE and Sports Premium too! 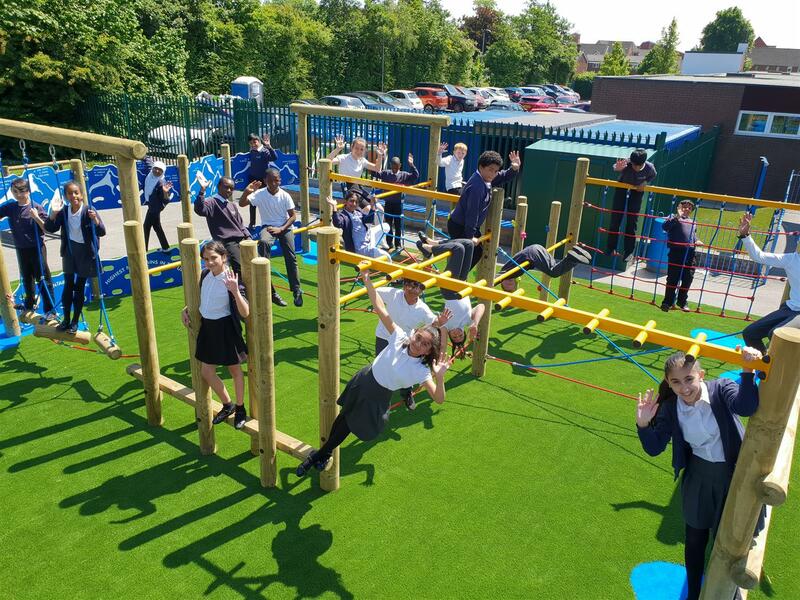 You can view our full range of outstanding Active Play Equipment for primary schools and nurseries by clicking here. 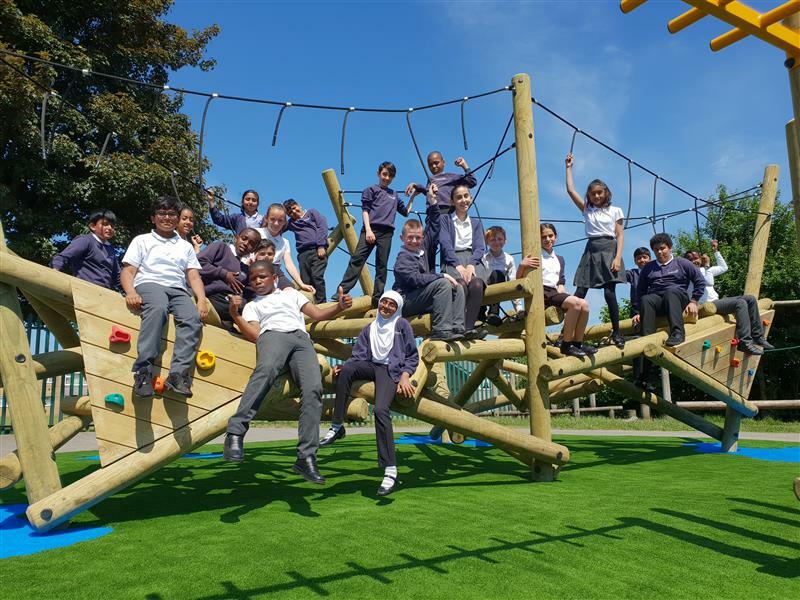 If you are considering a redevelopment of any part of your school grounds and playground, please do not hesitate to Contact Us. We are always available to provide a no obligation, free consultation and design presentation.